On July 12, 1979, the sky an angel recovered able to sing with a voice registers almost unimaginable for a man. 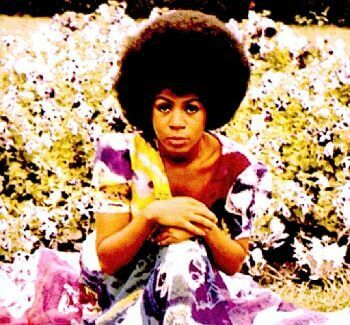 It was Minnie Riperton, who saw their future truncated with 31 years old, because of a brain tumor. She was born on November 8, 1947 in Chicago, Illinois, being the youngest of eight siblings. Her parents, seeing the vocal talent and musical skills of her daughter, decided to support a career in music, specializing in techniques of breathing, phrasing and diction. Stevie Wonder fall in love for her rare and unique voice, capable of controlling the whistle register and pronounce words. Collaborations on tour, were part of choirs (the "Wonderlove" with Deniece Williams, Angela Winbush...), Stevie Wonder's album Fulfillingness' First Finale, and especially collaborations with Stevie Wonder was the second album from Minnie entitled Perfect Angel. 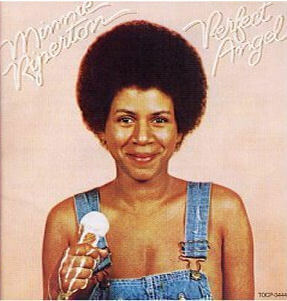 In this album from 1974, Minnie Riperton showed us all her glory. Fine and delicate melodies, performed by an exquisite sweetness, composed and produced by Richard Rudolph -her husband- and Stevie Wonder. Unforgettable songs like "Lovin' you" or "Seeing You This Way" performed by one of the sweetest voices in the soul business. A reference for artists of soul/RnB. Unforgettable Songs from this heavenly figure can we see in the media player, and how not, Stevie Wonder sang a portion of the song inspired by this woman, "Perfect Angel" and "Lovin' You", a posthumous tribute to her spirit free and pure. Other contributions by Stevie to this heavenly figure were Stick Together in 1977 for the album titled "Stay In Love", instrumentation and arrangements of the song in 1979 titled Lover And Friend and the harmonica of Stevie in the song Give Me Time, 1980.